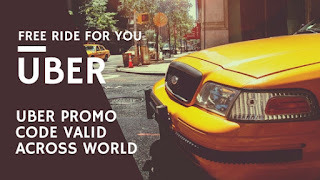 Best place for Uber promo code, first free ride and promotional offers for new and existing users. 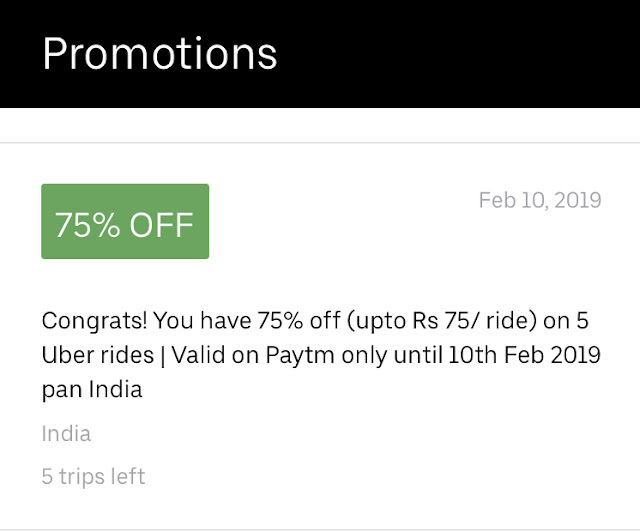 Uber : Get 75% Off Upto Rs.75. 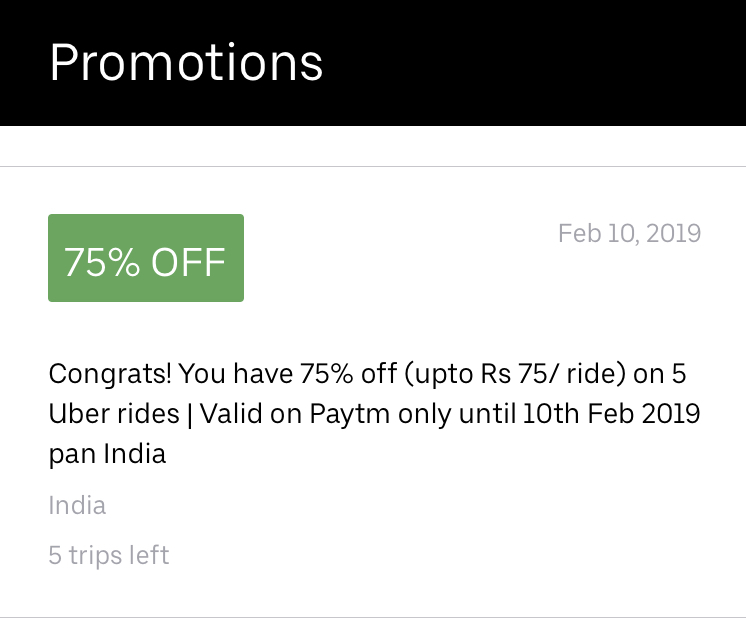 Valid For 5 Rides Using Paytm Mode || Valid Till 10th Feb 2019. How can you regain access of your Uber account once it's disabled?